Kristen has provided legal counsel in the public and private sectors for over fifteen years. She has specialized in immigration law for ten of those years. Kristen began her career in the corporate department of Neal, Gerber & Eisenberg, a major Chicago law firm. There, she carried out due diligence and negotiation in connection with mergers and acquisitions as well as assisting in the preparing and filings for publicly traded entities in conformity with securities laws. She continues to deploy the pro-business perspective and expertise gained in corporate practice in her current role as immigration counsel to her current corporate clients. Kristen next served the investing public when she joined the Securities and Exchange Commission at the Midwest Regional Office. Her duties included investigations and federal litigation within the enforcement division. Kristen’s public service history provides a solid foundation of credibility for the liaison and advocacy roles her peers have afforded her. These roles, in turn, have aided countless clients who seek effective counsel when their cases have not gone as planned. 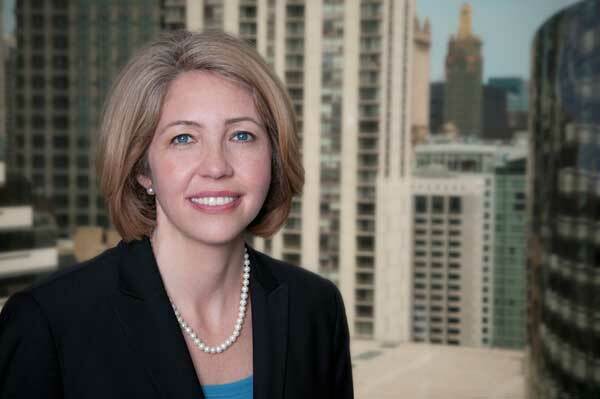 Kristen became interested in immigration law over a decade ago through her work as a member of the Board of Directors of a Chicago non-profit organization. Kristen became the lead Board member responsible for developing the organizations immigration advocacy policy, including with regard to federal legislation. This experience, coupled with her volunteer teaching of English as a Second Language to immigrant day laborers, ignited a desire to practice immigration law full time. Kristen joined the immigration law firm of Rubman and Compernolle over nine years ago, which eventually became Rubman & Harris. Kristen has counseled countless businesses, families and individuals regarding U.S. immigration laws. Her strong business background is appreciated by entrepreneurs and leaders in the financial sector, consulting/IT sector. Her public service, advocacy and attention to regulatory detail are appreciated by healthcare sector and educational sector clients. Her excellent commitment to personal service is appreciated by families and individuals pursuing immigration benefits such as employment-based green cards and citizenship.